In this week’s podcast episode we discuss OTK decks in KeyForge. Should Draw Your Entire Deck combos exist? How fun is it to play against combo decks? What changes could be done today (if any)? Let us know your thoughts on OTK/Combo decks in KeyForge. As always we love constructive feedback on our content! 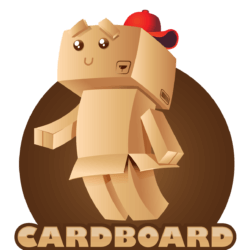 Cardboard Box Games is a YouTube channel that talks about games. We also host a weekly podcast on KeyForge. This week we take on the challenge of the big beasts that are Brobnar. We talk about what we look for in Brobnar decks as well as what we don’t like. Then we talk about how Brobnar creatures are best used. This week’s KeyForge Podcast episode covers Mars! We have to start off by being honest, none of us are huge fans of Mars. With that said we do think there are things about Mars that are incredibly powerful, so we try to look at it from all perspectives. We really like to look at things from a KeyForge strategy perspective. So we take that approach with Mars, We dig into what makes good Mars decks good, and what makes bad Mars decks bad. Having played in a several Chainbound tournaments using Mars, Adam has some thoughts about cards that always seem bad as well. We hope you enjoy this weeks episode, and we’d love to hear your thoughts on Mars! In Episode 14 of our weekly KeyForge podcast, we talk about Artifacts. We’ll discuss how many we look for in a deck, when we hope to get them in a game, and which ones are actually are favorite. Let us know what you think are the best Artifacts in KeyForge! This week we talk about playing to win in KeyForge, vs playing to survive. This topic actually carries over to a lot of competitive card games such as Magic the Gathering. We’d love know your thoughts on playing to win vs playing to survive! Our main topic is talking about our favorite combinations of houses, and what we like about those combinations. Some of them may surprise you, others are probably guessable. We also have been teaching a lot of new people how to play KeyForge and there are some things that throw people off a little. These tips are things that we’ve learned to really explain in detail to new players, because its not always obvious how they work. I hope you all enjoy this KeyForge podcast episode, our next one I’m hoping one of us comes back as the champ! Episode 11 – Should you Mulligan in KeyForge? There are so many things on our minds about KeyForge, so its hard to fit them into every podcast episode. So please check back every week for new topics that we hope you will love. We’ve also loved the feedback we’ve been getting on Reddit and YouTube, and are constantly trying to make our videos better, so keep them coming as well! This week we discuss why Mulligan in KeyForge is actually very powerful. I’ve put together an interesting approach on how often you should mulligan as well as what to look for when going first or second. My opinions are constantly changing, but this is one that I feel very strongly about. Bottom Line, everyone should be shuffling their cards and getting a new set a lot more than we actually are. Age of Ascension, which is coming out soon also has some new cards that we are excited about. We talk about the Sanctum cards that we are excited about. Honestly all of them are amazing! Finally we are headed to a sealed tournament tomorrow, if you are in our local LGS we look forward to see you there! Episode 10 – KeyForge Strategy: When to Play or Hold a Card? In this KeyForge podcast episode we share our current thoughts on when we should hold on to a card. This is something that is constantly changing in our minds, and will most likely be something we revisit in the future months. We’ve played tons of games trying out different ways of valuing cards, and ultimately we think it comes down to a few key things. We love KeyForge strategy, and have a laundry list of other topics to talk about, but if you have something particular you’d like to discuss give us a shout out over on YouTube! I also always appreciate critical feedback, but please don’t leave negative comments. We are passionate about KeyForge and just want to share our passion through this weekly podcast. Every week we are looking for tips/tricks on how to get better, so if you have ideas pleas share those. Finally we are going to be release more frequent videos as new cards are released. But we won’t stop our weekly episode that focuses on gameplay, news, and strategy talk. In this KeyForge podcast we crack a new deck, and we talk about our upcoming Archon tournament. But for our main topic we try to answer the question: “Is Shadow Overpowered in KeyForge?” We feel its one thing to talk about what we feel is the strongest house, but with KeyForge we can dig into the Master Vault and get some actual data. Adam and I dig into the numbers of Power Level 3, 2, and 1 decks. We look at the house breakdowns and we attempt to discover the power level of each KeyForge house. I hope you enjoy this episode, we had a ton of fun making it! For more KeyForge related content please check back weekly. Also we’d love to know what things you want us to talk about, so let us know and we’ll add it to our running list of episode ideas. Let us know your thoughts on “Is Shadow Overpowered in KeyForge”! Also we’d love to know your strategies for combating the sneakiest houses of all. Wish us luck in our Archon tournament, we’ll report back the results on next week’s episode! We complete our initial reactions series with this KeyForge podcast episode 8. One thing for sure is that Shadow seems a lot more balanced, although its hard to tell with just a small subset of the cards. Untamed has some cards that we are really excited about as well. We also discovered that a few cards we’ve previously talked about are much better than our initial impressions so look for us to update those in the next few podcast episodes. Remember to check back every week for more episodes of our KeyForge podcast, and every once in a while we do more than one a week when big news hits like the announcement of Age of Ascension. We are also working on ramping up our quality, by investing in more equipment and decorations so our video space looks nicer. If you have any feedback, as always drop us a line. Please Subscribe and Follow our KeyForge podcast on YouTube, iTunes, Spotify, or Google Music.